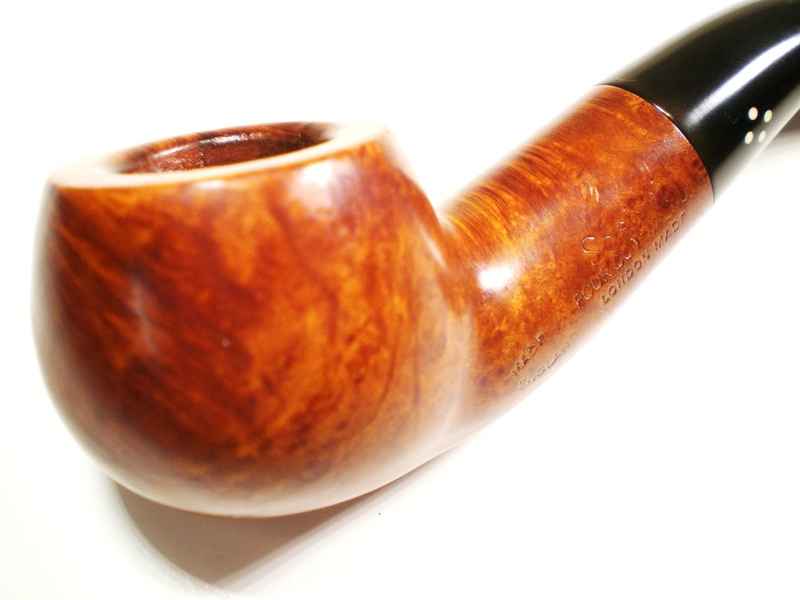 At the beginning of 2014, I had an empty slot on my “Holy Grail” shape list for the Sasieni Ashford. 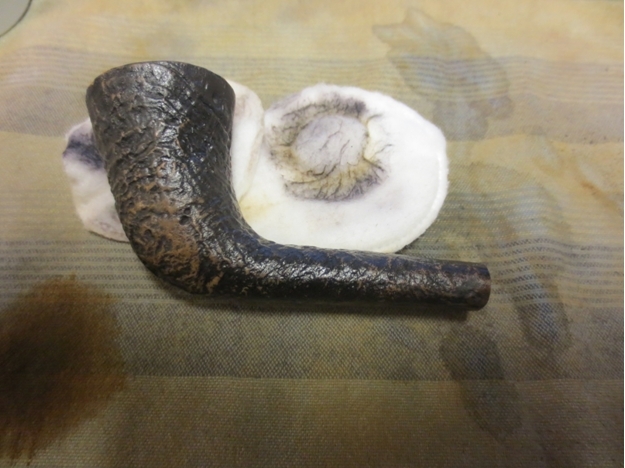 During the year, I was thrilled to find both a Ruff Root and Rustic finish Ashfords. 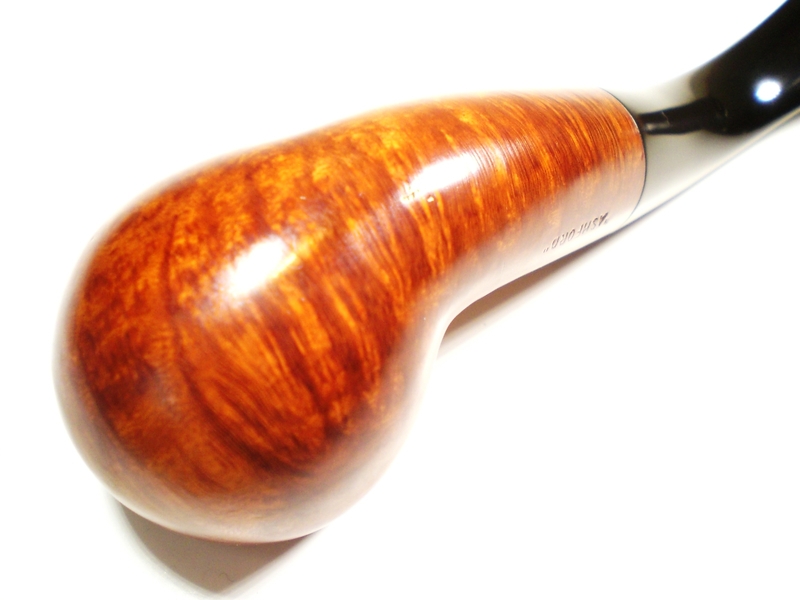 As the year closes out, I was able to find yet another, my first smooth Ashford, in the Walnut finish. 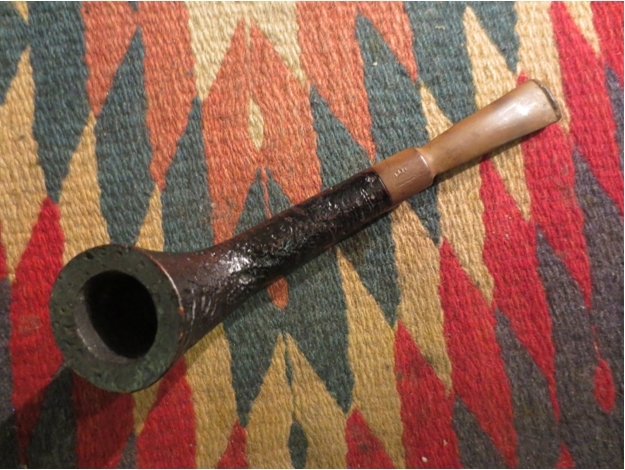 Like my others, this one is a pre-Transition pipe which was made between 1946 and 1979. 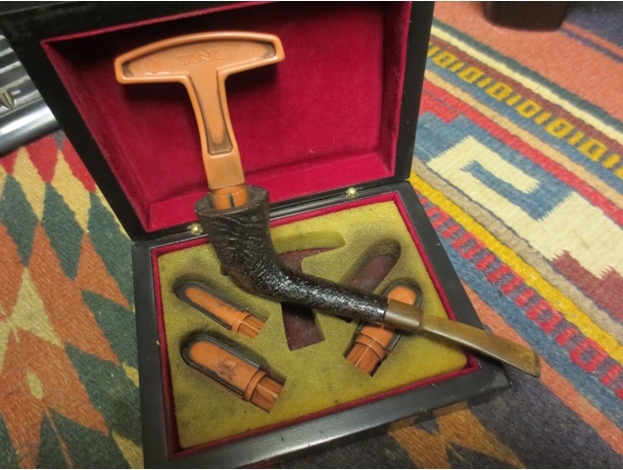 So, in the spirit of the Christmas season, I present “We Three Ashford”. 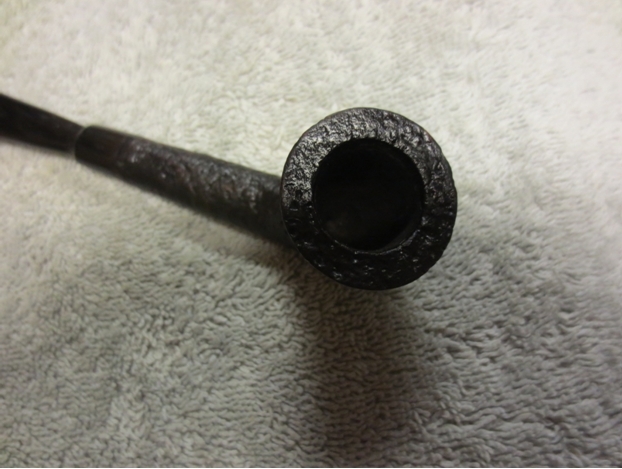 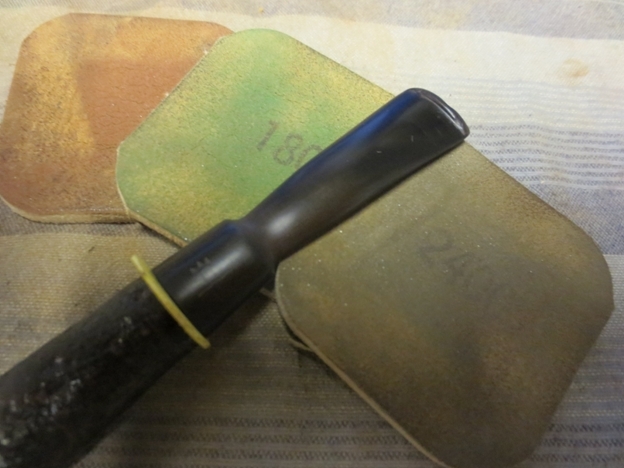 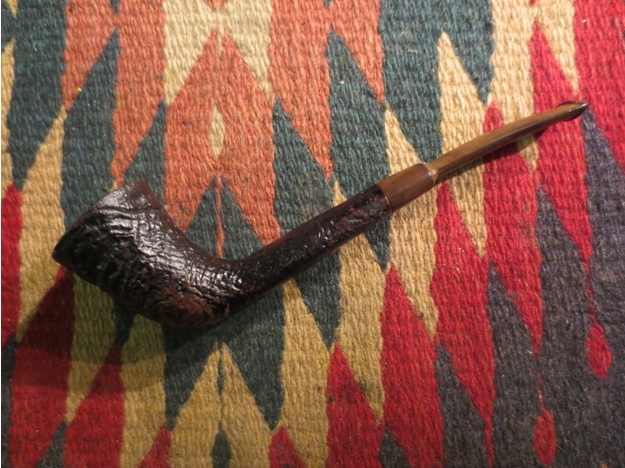 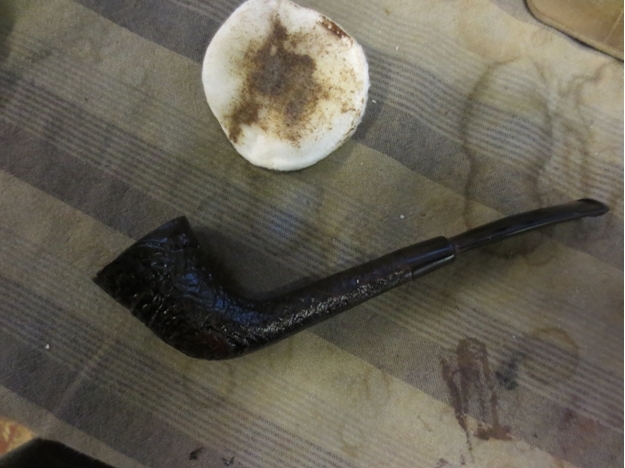 The pipe didn’t need to be restored as the Ebay seller (passionforpipes) had already done an excellent job. 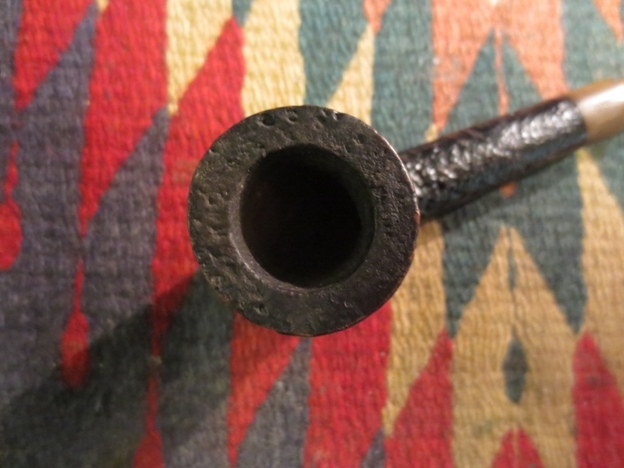 There was a small crease on the side of the bowl on the dot side. 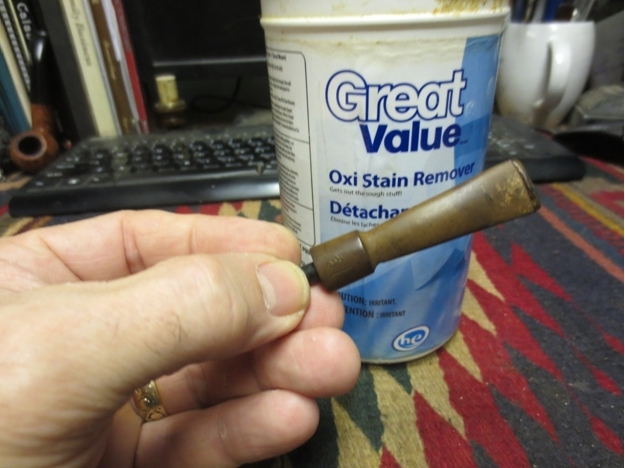 A few minutes with an iron and a wet cloth almost completely removed that mark. 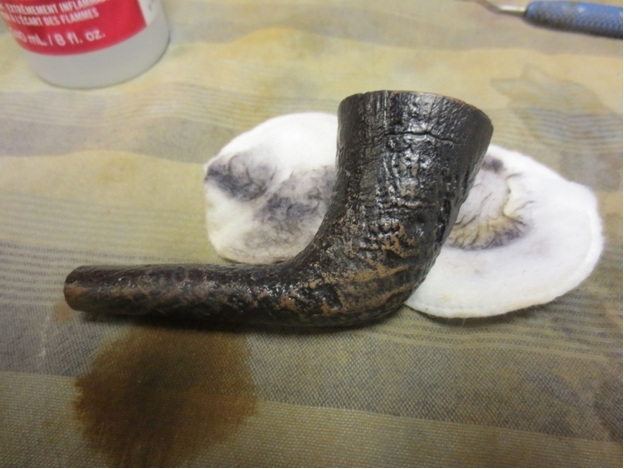 After steaming out the mark, the color was brought back with some White Diamond rouge and then several coats of Carnuba wax. 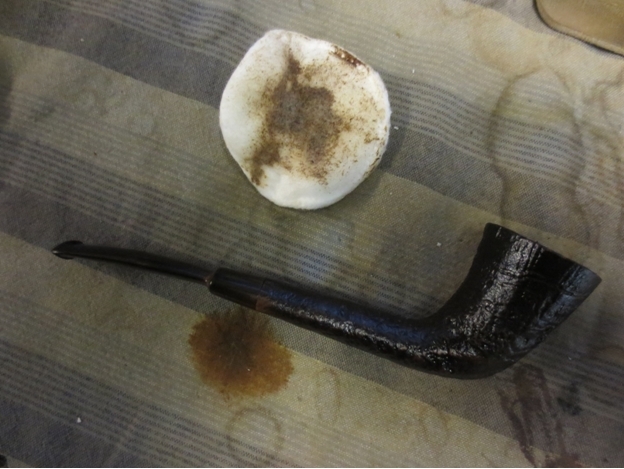 The nomenclature was in very good condition, so I was careful to stay away from those areas which was waxed by hand with Halycon wax and a cloth. 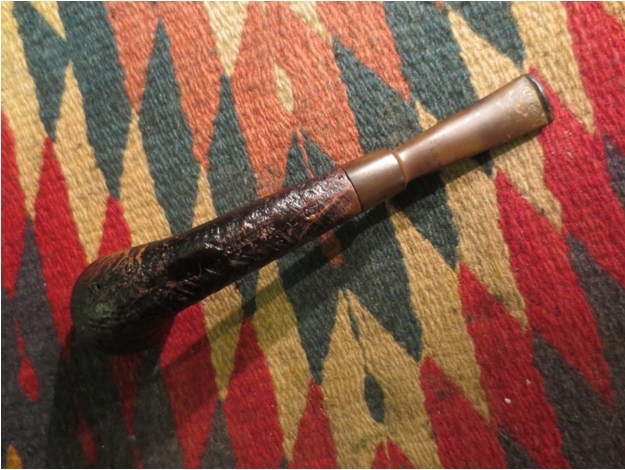 I’m very pleased to add the final Ashford to my collection. 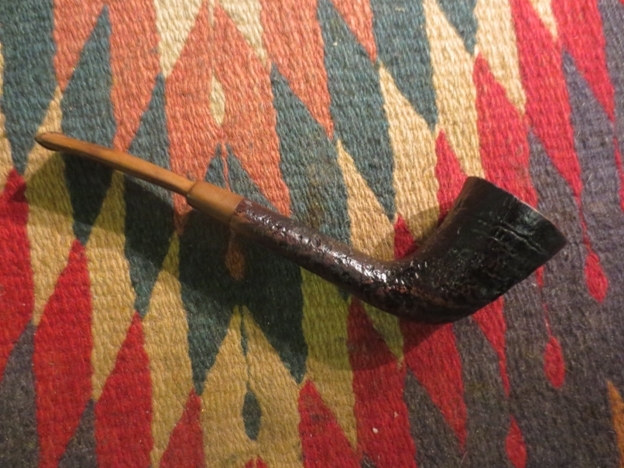 My wife had now secreted the pipe away to be wrapped, so I won’t see it until Christmas Day and hopefully enjoyed later on. 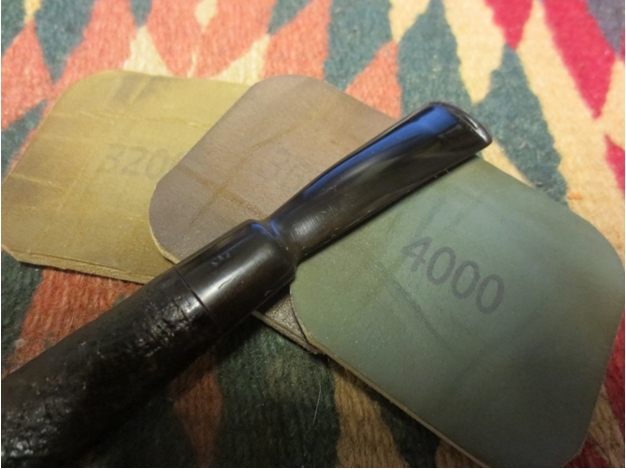 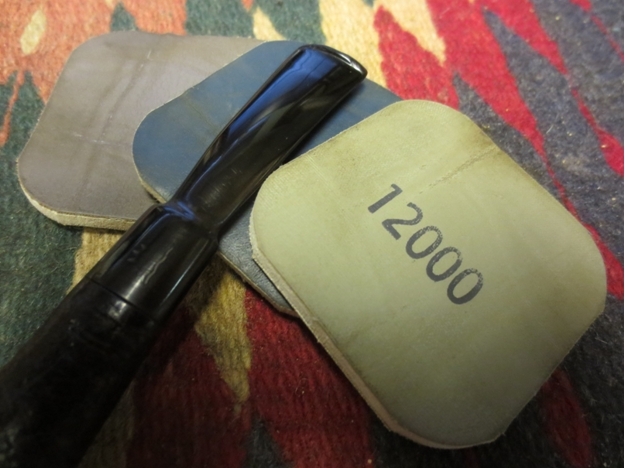 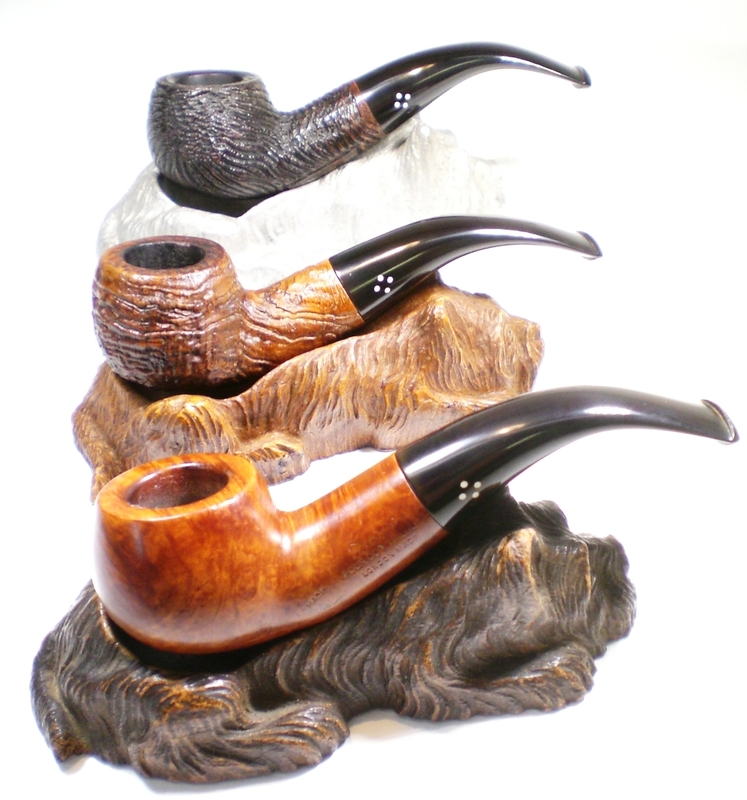 Below are all three of my Ashford Shapes. 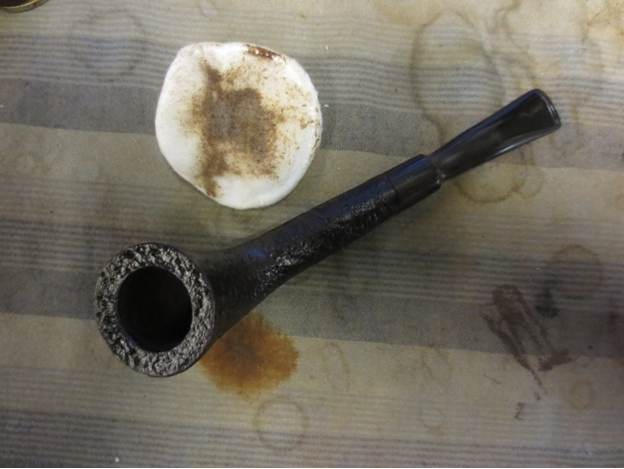 Walnut, Ruff Root and Rustic. 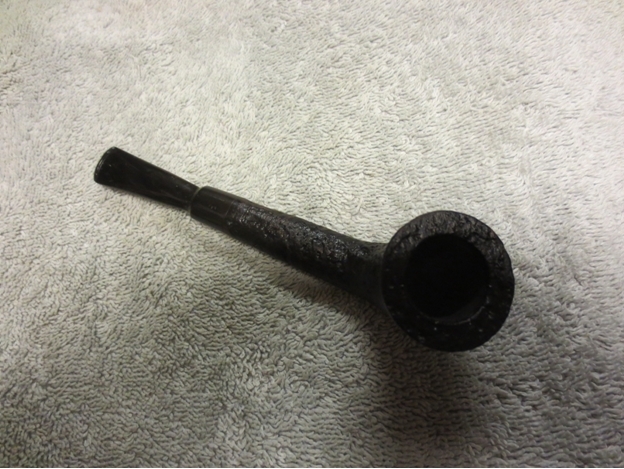 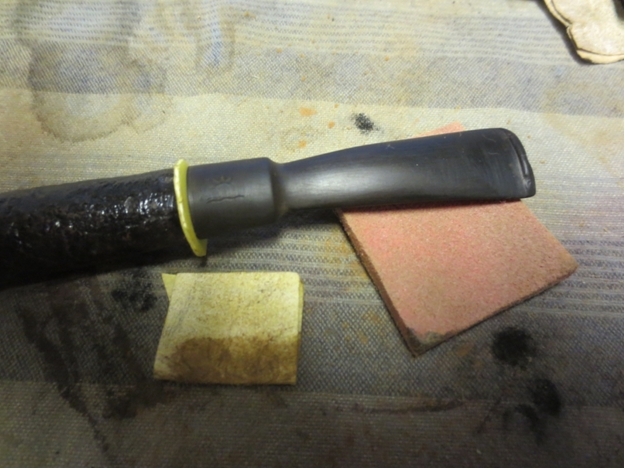 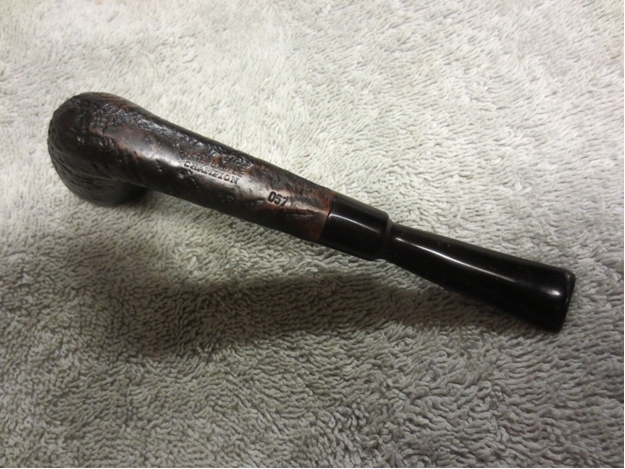 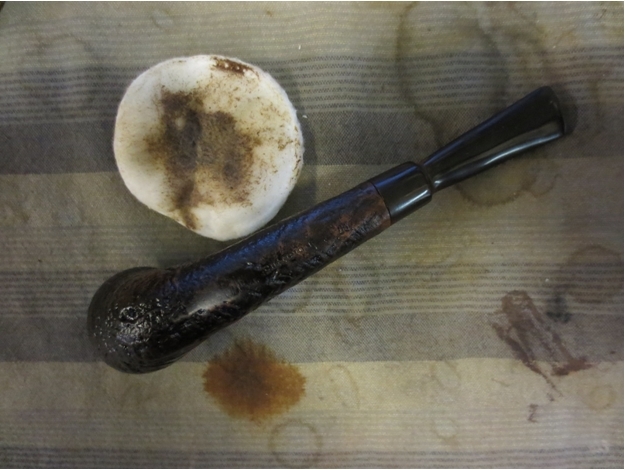 This entry was posted in Pipe Refurbishing Essays and tagged Sasieni Ashford pipes, Sasieni Four Dot on December 24, 2014 by upshallfan. 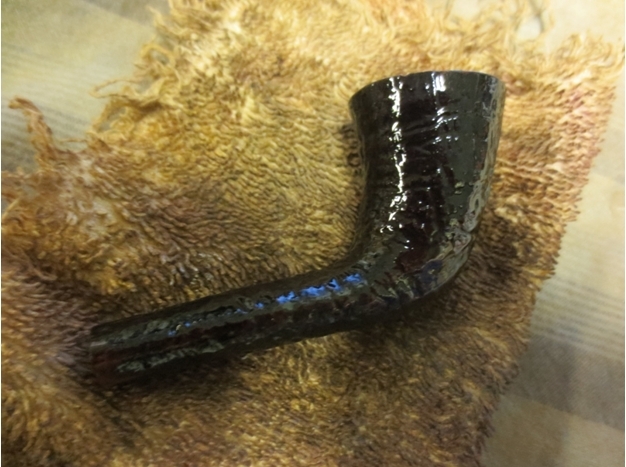 It has been a great year for rebornpipes. 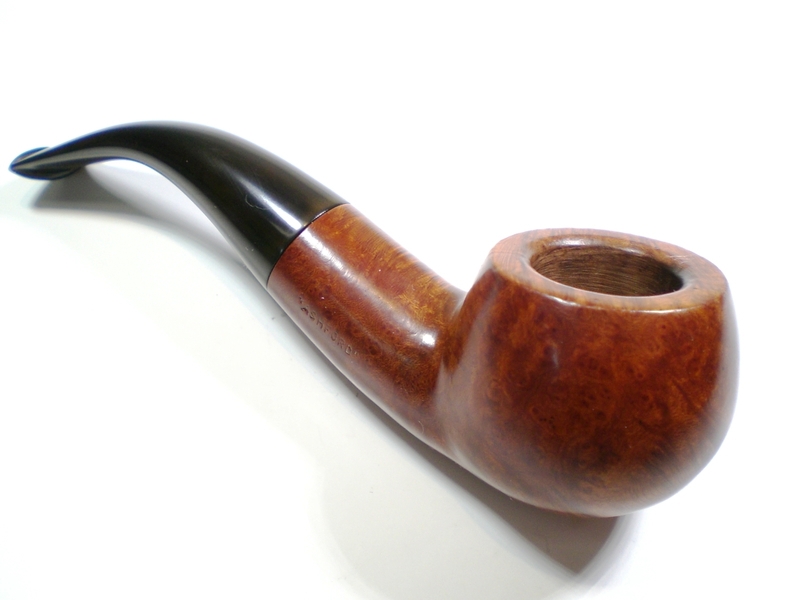 The readership has grown with over 181,000 visits this year and the contributor list has also grown. 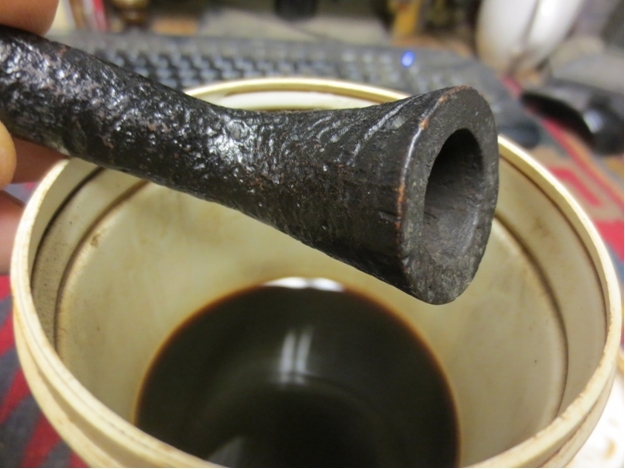 The vision that I had when I began rebornpipes is becoming a reality. 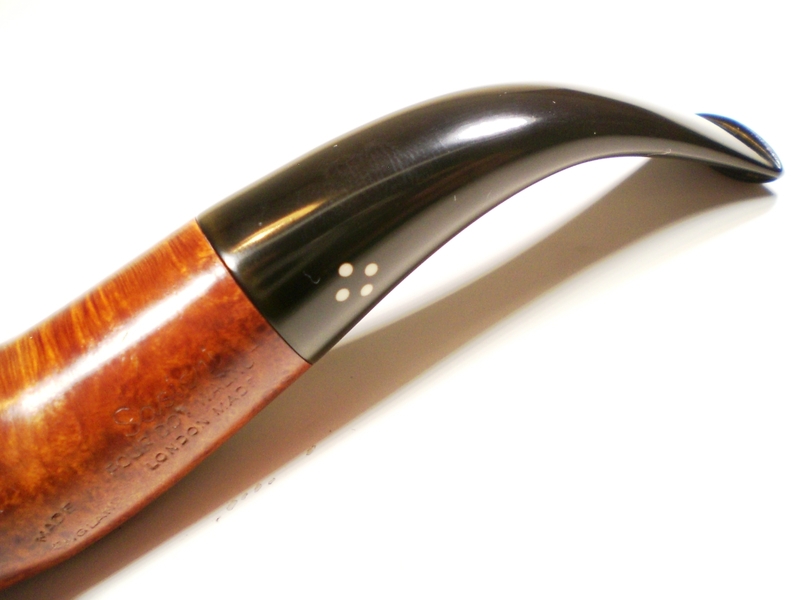 Many of you are not only reading the blogs but are working on pipes and then contributing to the blog what you are learning in the process. 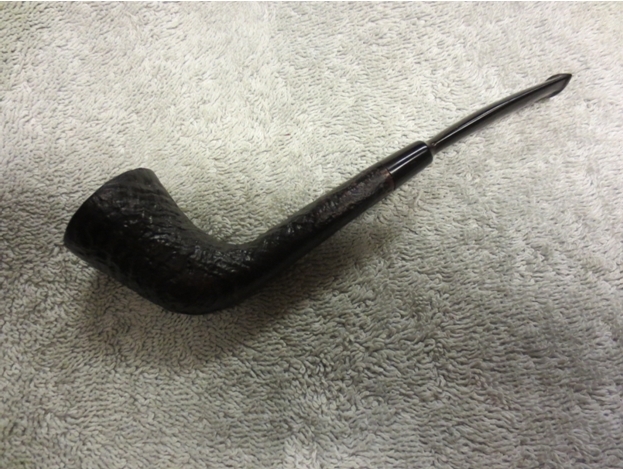 I just want to take this opportunity to thank each of you who have contributed to rebornpipes for your willingness to record your work on the pipes you have refurbished, new methods you have used and just for your love of returning old pipes back to a clean and usable condition. 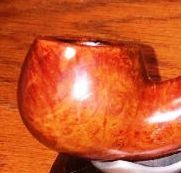 I also want to thank each of the readers of rebornpipes for you faithful following of the posts and blogs that are contributed. 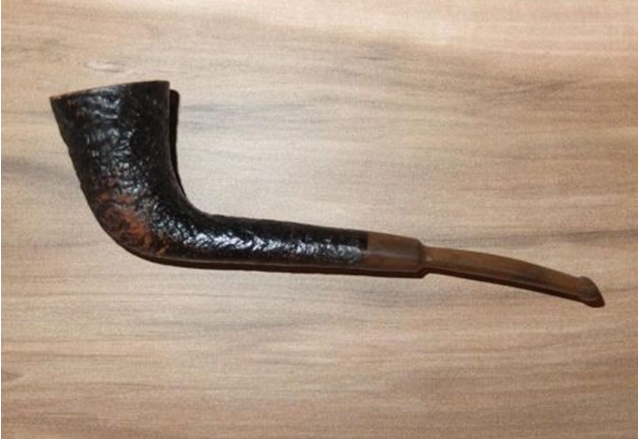 It would be great to hear from more of you in the year ahead. 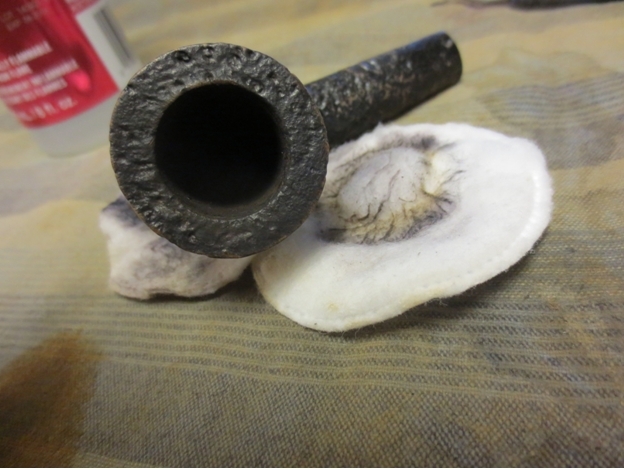 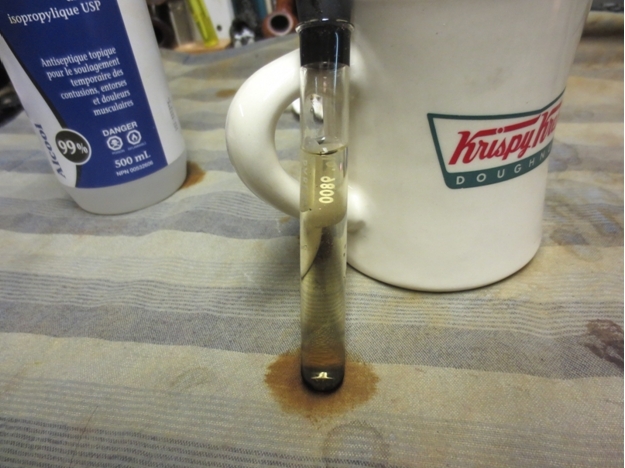 Why not take some photos of the pipes you are refurbishing and do a write up of your work. 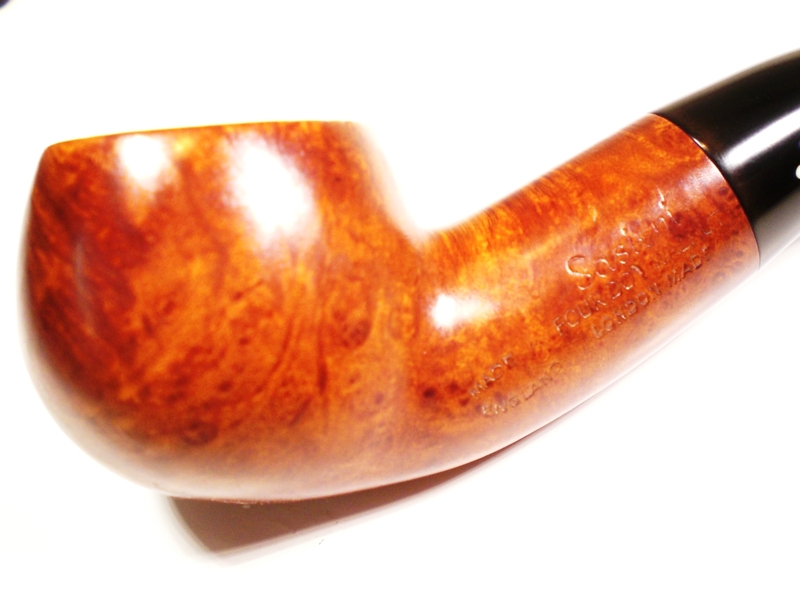 Send it to me at slaug@uniserve.com and I will make sure to get it online for you. 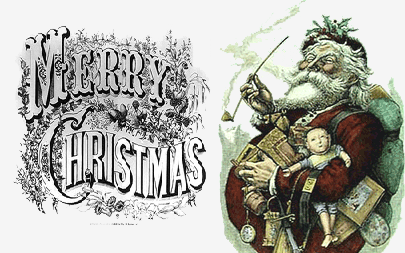 I also want to wish each of you in both groups a Merry Christmas and a Blessed New Year. 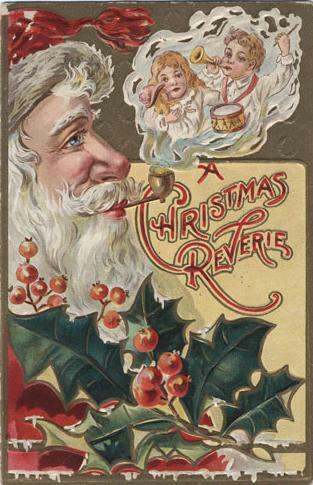 Hope you take some time in the midst of the busyness of the season to remember why we do it and to slow down enough to enjoy a few bowlfuls of your favourite tobacco in a pipe of your choice. 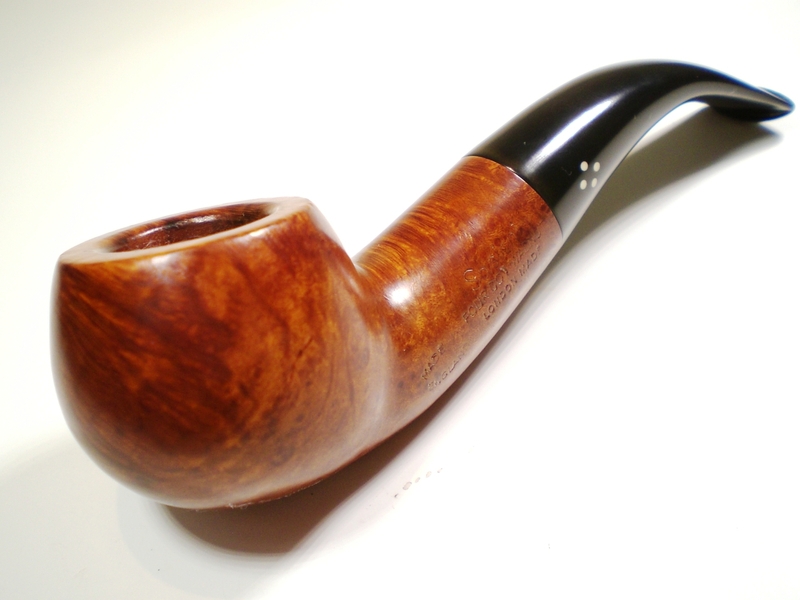 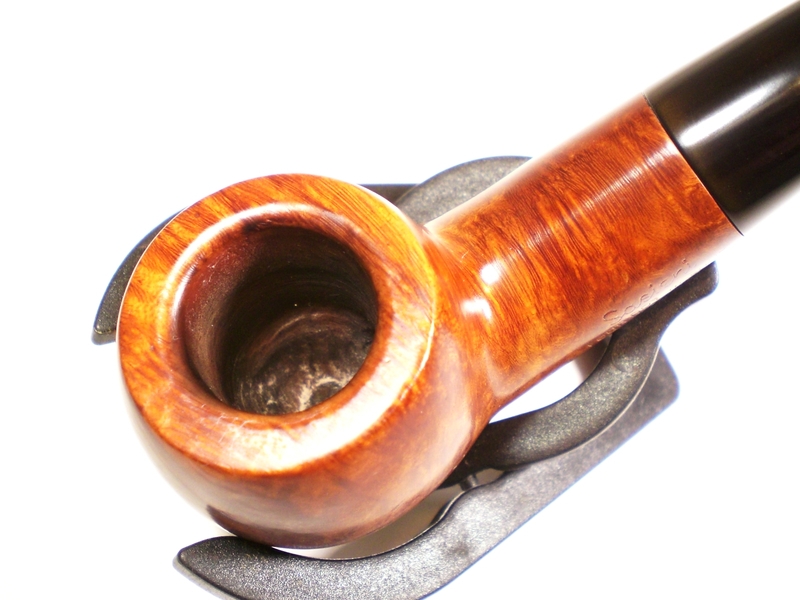 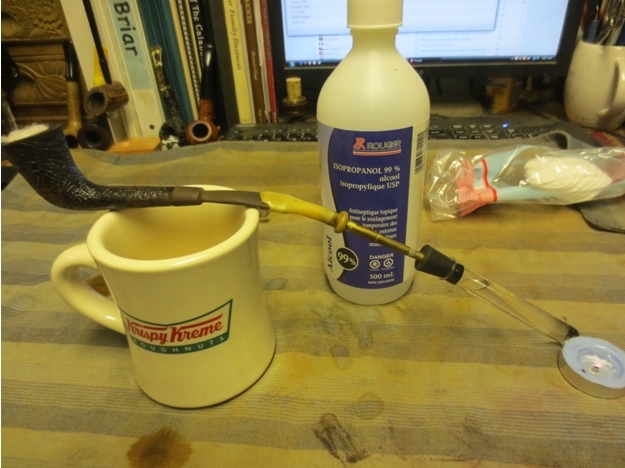 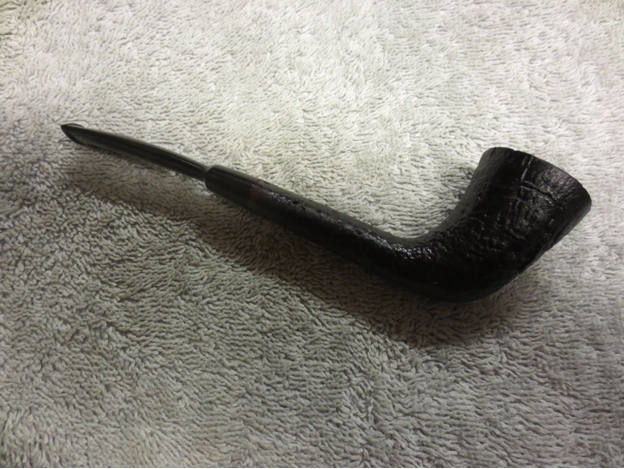 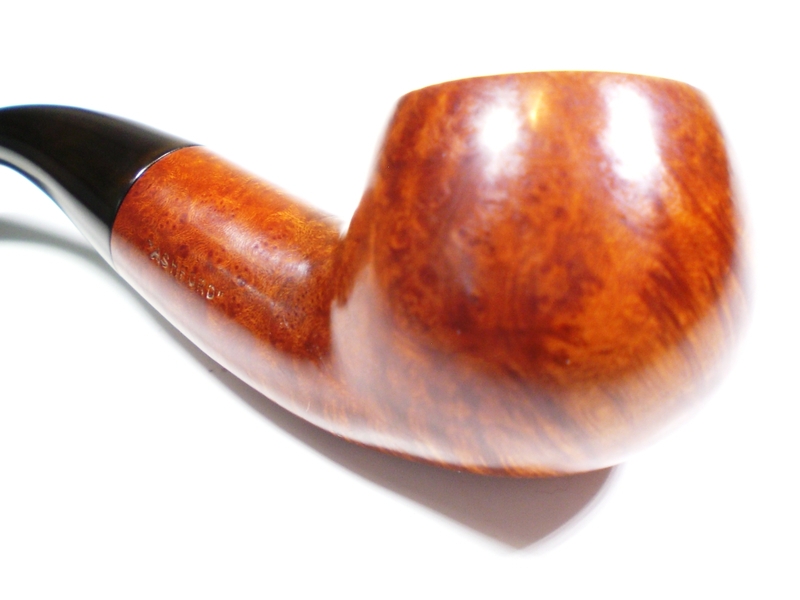 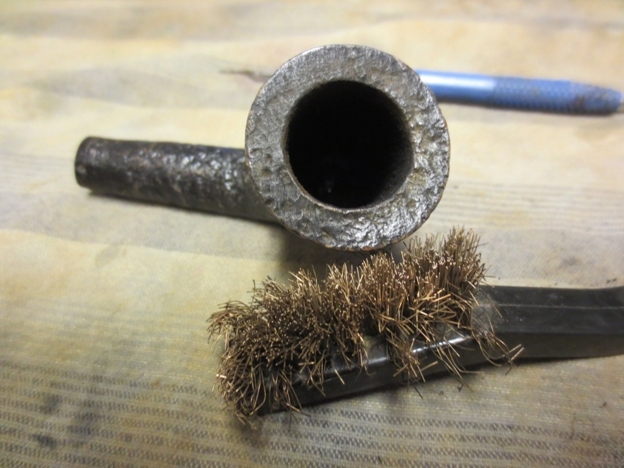 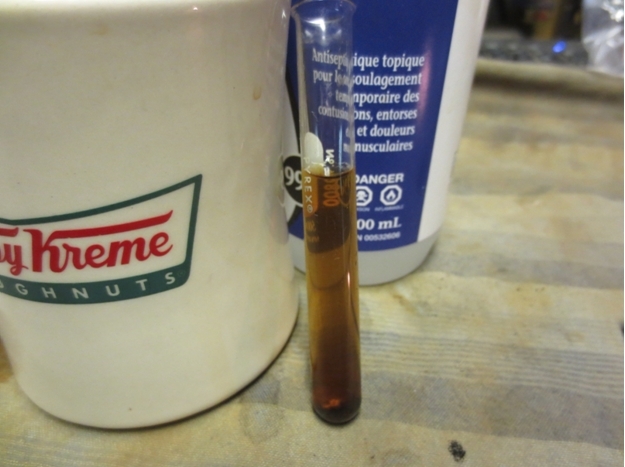 This entry was posted in Pipe Related Essays on December 24, 2014 by rebornpipes.